Target is launching some fairly nice deals on Apple iPhones beginning this Sunday, March 2. For a limited time, the retailer is offering an extra bonus of $50 on the purchase of an iPhone 5s and iPhone 5c when coupled with a trade-in of an older cellphone. 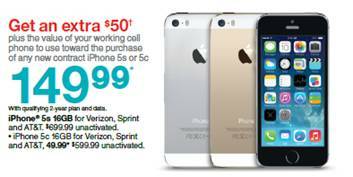 Through March 22, these deals are on the 16GB iPhone 5s and 16GB iPhone 5c. To qualify, your old phone must be in working condition, and you must sign a new two-year carrier agreement with AT&T, Sprint, or Verizon when you buy the new phone. 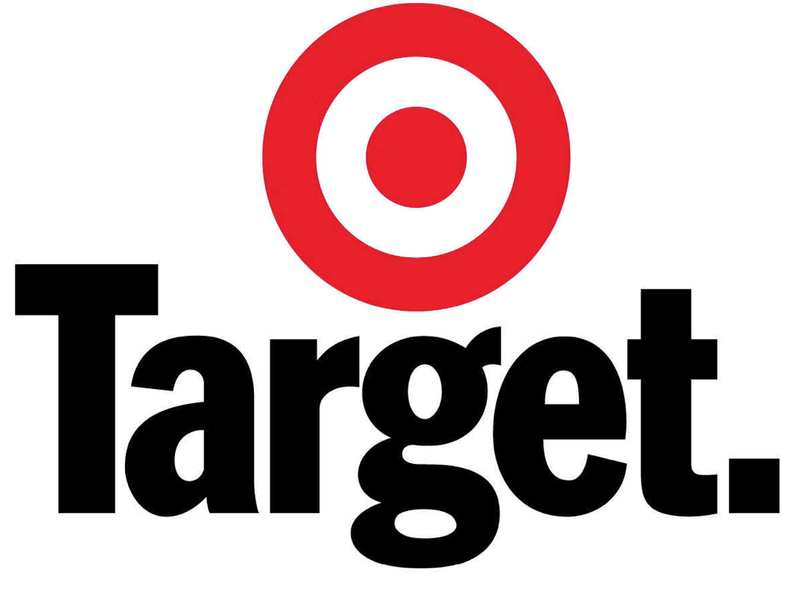 As part of the promotion, Target reminds guests they can receive store credit to use toward the purchase of their new Apple device when using Target’s flexible electronics trade-in offer. Again, these special promotions begin on Sunday, March 2. 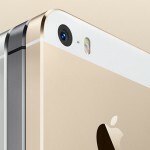 Earlier today, Best Buy announced its own deal on the 16GB iPhone 5s. Through tomorrow, Oct. 2, the retailer is offering at least a $150 gift card when the purchase is made alongside a trade-in of a working iPhone 4s or iPhone 5.